Video bumper, also known as video intro, is a short video opener usually between 3 to 10 seconds long that has most often form of a brand’s logo dressed up into nice and sleek animation and inserted either before or after video (then it’s called video outro). 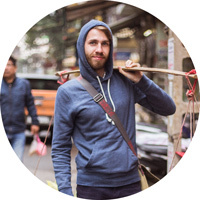 That way brand of anyone standing behind video is greatly emphasized. 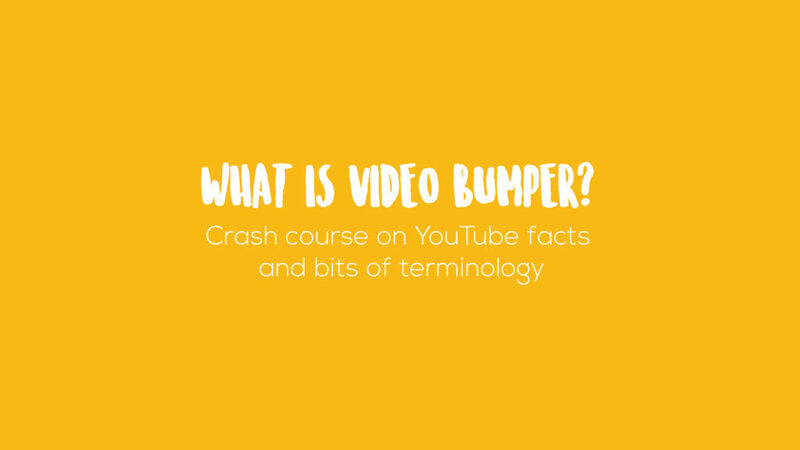 Why should I care about video bumper? Because this little snippet of a video can easily be the difference between being remembered or being forgotten in the digital dust by an audience who comes across to watch your video on internet. While 1) is a good news for you, especially if you are operating with any kind of video content, 2) is something you shouldn’t underestimate. There are thousands of YouTube channels, Facebook Users and Pages who you are competing with for audience’s attention. And it’s a well known fact that attention span of internet audience is rapidly shrinking and peaks around 80th second of video – then it quickly fades away, winding up into users skipping your video in order to get new dose of excitement somewhere else. Once they go away, what are the chances of coming back? Don’t shoot the messenger, but not big I would say, unless viewers are your loyal fans. It’s an vast ocean out there and you have to stand out if you don’t want to be swallowed and forgotten. So how the hell make them remember? This is where our video bumper comes in. Knowing all these facts, it’s obvious that if you want to sell your brand, you have to do it as quickly as possible. 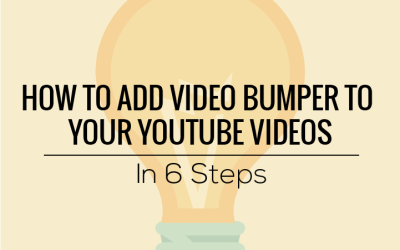 By inserting video bumper (= your branding) at the beginning of the video you can be sure that anytime your video is streamed on YouTube or auto-played on Facebook Newsfeeds, your brand is there to be seen. That way audience immediately knows that particular video they are watching is part of something bigger and not just a random clip from internet. And if they are interested, they are encouraged to explore more and perhaps get closer to you. But I have Facebook page. Should be enough, aye? It’s a definitely good start but the Facebook page or YouTube channel only doesn’t necessary establishes your brand. Everyone is creating Facebook pages, even your neighbor’s cat has most likely one and so you might want to go a little bit further if you want to give unifying context to your video series. And then there is this new phenomenon called freebooting. Freebooting is an act of internet piracy that became especially problem since users were enabled to upload videos directly to their Facebook newsfeeds. How does freebooting work? Principle is that unauthorized users download your video content without permission and then re-upload it to their own Facebook page. That way these users gain followers, credits and money based on video that you created – but you are not getting none of that. There is nice video (8mins) on this topic by amazing YouTube channel Smarter Every Day, that became early victim of freebooting. Watch it here. By adding video bumper with your branding at the beginning and end of the video you are securing yourself at basic protection from unauthorized use. Because if someone steal your video, name of your brand is still there and pirate would have to do an extra step in order to remove it. But of course, unarguably the best way how protect your content is adding a watermark. Semitransparent layer of your logo rendered directly into video is practically unremovable and so you can have a good night sleep knowing that no pirate can loot your channel! I hope these basic infos were to some use for you. If there is any topic from the world of digital marketing, YouTube or branding, please, comment bellow and I will gladly scratch it up for you! Meanwhile, don’t forget to check out ever growing Bumper Template gallery or if you are baller, you might be interested in Custom Video Bumper. Don’t forget – we are not selling templates. We are providing complete service so you can keep sipping on your Margarita! Till the next article, see you my friends! Hi there! I am doing logo animation, making music and taking pretty sick photos – not necessarily in that order – while traveling the world. You should definitely check out my Instagram, Facebook page or follow me on Twitter to see what I mean. Peace!